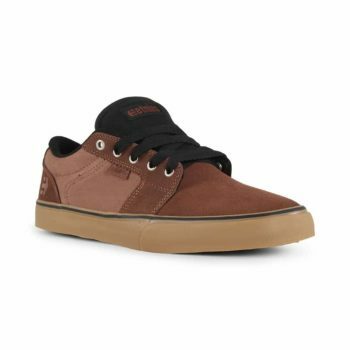 The Barge from Etnies shoes is a classic vulcanised skate shoe with a slim last and simple upper design that offers a more basic shoe in terms of its styling but without scrimping on form and function. The durable vulcanised sole exhibits the right amount of grip and flexibility that a skateboarder needs for maximum board feel, but also for control and impact resistance. 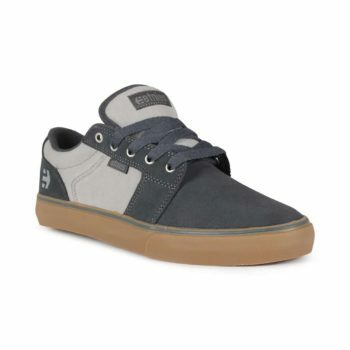 The upper part of the shoe is aligned with the Etnies brand look and feel but is uncompromised and simple in its overall appearance. 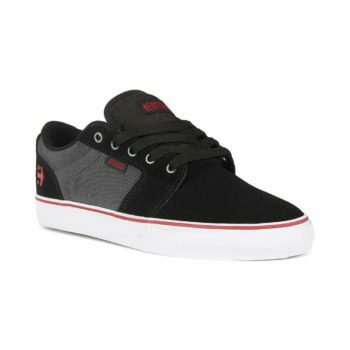 The Etnies Barge LS is a simple vulcanised shoe with a classic skate look but comfortable enough to wear all day every day. The minimal deconstructed design gives a slim silhouette that as a shoe, is wearable no matter what the cut of your jean. 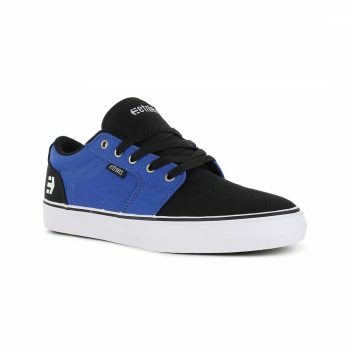 One of Etnies' best sellers this shoe is over course available in many colours and fabrications.